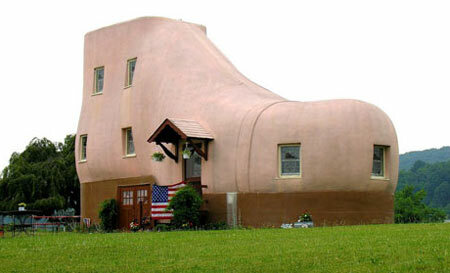 Would you Live in a Shoe House? 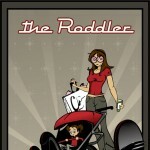 There’s nothing wrong with living your childhood dreams, is it? 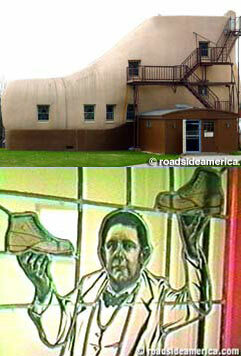 I came across some strange-shaped houses today, and the some of the funniest were the shoe-houses. I have four of them, but only three stories because one of them was made for a public park, so it’s not really a house by itself. 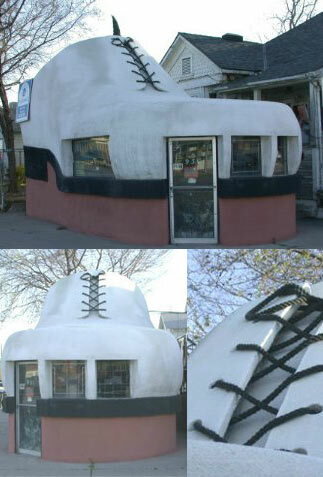 The Haines Shoe House from Pennsylvania was built by Colonel Mahlon N. Haines self proclaimed “Shoe Wizard”, owner of a 40 retail shoe stores in Pennsylvania and Maryland. He didn’t actually build this house, it was ordered at an architect in 1948, while he was 73 years old for publicity purposes. The house, a five levels building, has three bedrooms, two baths, a kitchen and living rooms (featuring a special boot-shaped dog house in the yard and a shoe mailbox plus a boot-decorated fence), has stained glass of the Colonel holding shoes in every window and was made available for 38 elderly couples yearly, and honeymooners with maid, car and chauffeur. Now the house is owned by Ruth R. Miller (since 1995) and opened for guided tours. 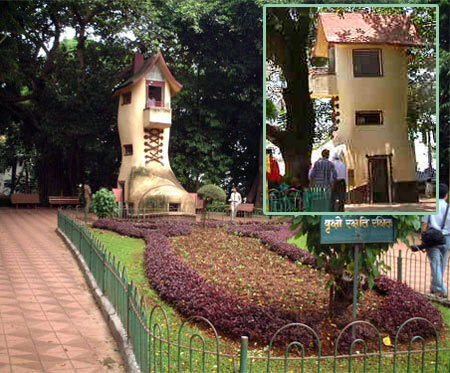 The Shoe House from India is in the Hanging Gardens from Bombay. 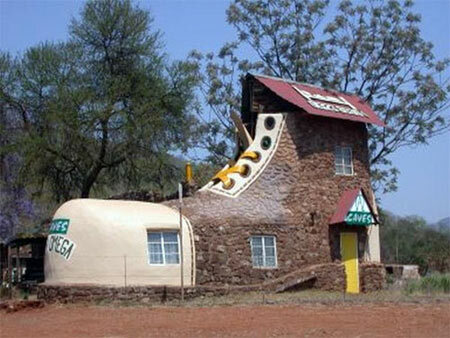 As for the Shoe from South Africa, Mpumalanga Province, more exactly near Abel Erasmus Pass – it’s built in 1990 by entrepreneur and artist Ron Van Zyl, a South African artist and hotelier. 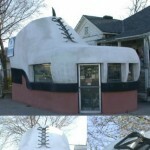 The Shoe was actually built for his wife, Yvonne, who said she wanted a shoe. 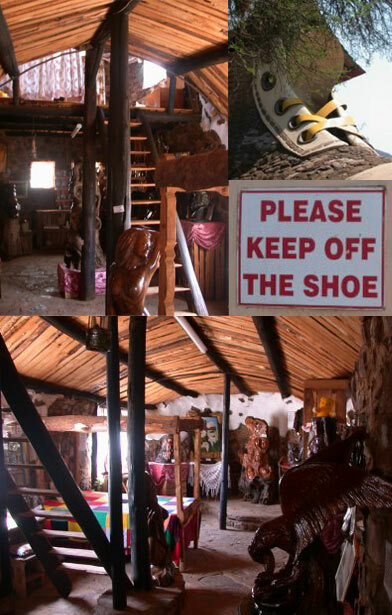 The interior is a museum of rock and wood carvings made by Ron Van Zyl himself. The Shoe is part of a bigger project which includes a camp site and a chalet guest house, restaurant, bar, pool and shop. 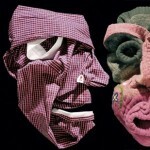 The Deschwanden’s Shoe Repair from Bakersfield California owned by Don Deschwanden was made “like a model airplane is made, with ribs and wire and plaster pushed into it”. The Shoe was made in 1947 by Don’s father who designed and built this 30-feet-long shoe with a 50-foot-long shoelace from three-inch-wide oil-field rope, dyed black. I often hear about people (I won’t be discriminative, saying it’s only women, in fact) completely obsessing over shoes. I’m not judging, I’m just asking – if you were one of them, and if you could, would you have an architect built a stiletto house for you? And actually live in it? I guess it’s really easy to financially exploit such architectural adventures. And luckily for most of us (;) ) internet has a generous nature and we get to see more than we actually have the chance in real life. Information is bliss! 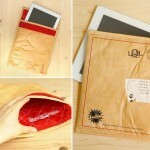 I like the idea. These “houses” looks almost like a kind of big dolls houses, to play with as an adult. 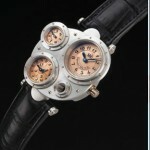 It is hard to decide which is my favorite. These houses must have an unique architecture interior inside, not the usual build rooms. 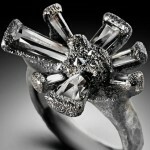 However, I would not live in such a house because it attracts a lot of attention. So there goes the privacy…. I would have to say the Bakersfield shoe repair shop is the best! It is the only one I’ve ever been to, plus the fact that I know it is awesome, and it is the only one with real laces, threaded through all of the eyelits and everything!